Updates | Bharathi College Of Education in Ranchi,Bharathi College of Education is recognized by ERC, NCTE, Bhubaneshwar and affiliated to Ranchi University, Ranchi (B. Ed.) and Jharkhand Academic Council (D. El. Ed.) managed by "Bharathi Educational Trust" established in 2009. Bharathi B. Ed. College is best College in Ranchi, Jharkhand. 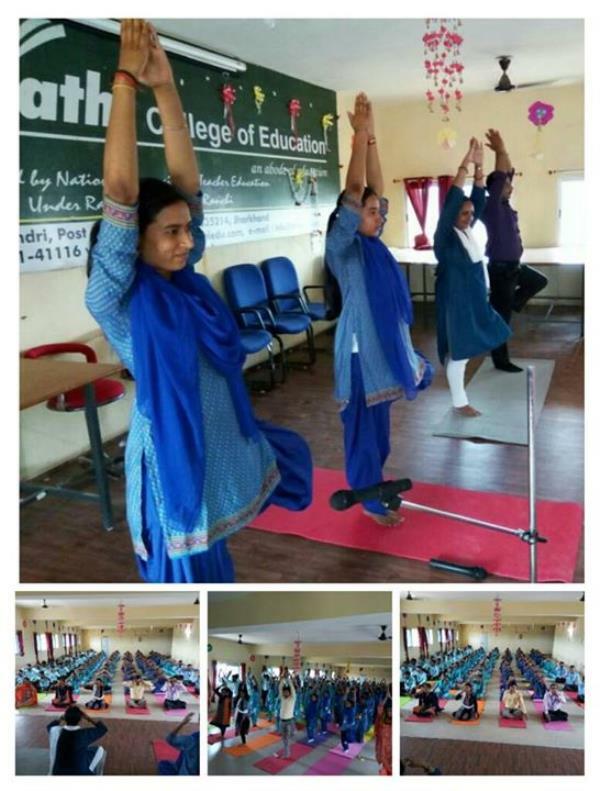 International Yoga Day (21/06/2018) organized in BHARATHI COLLEGE OF EDUCATION, mandar, Ranchi. Now open admission for B. Ed. and D. El. Ed. 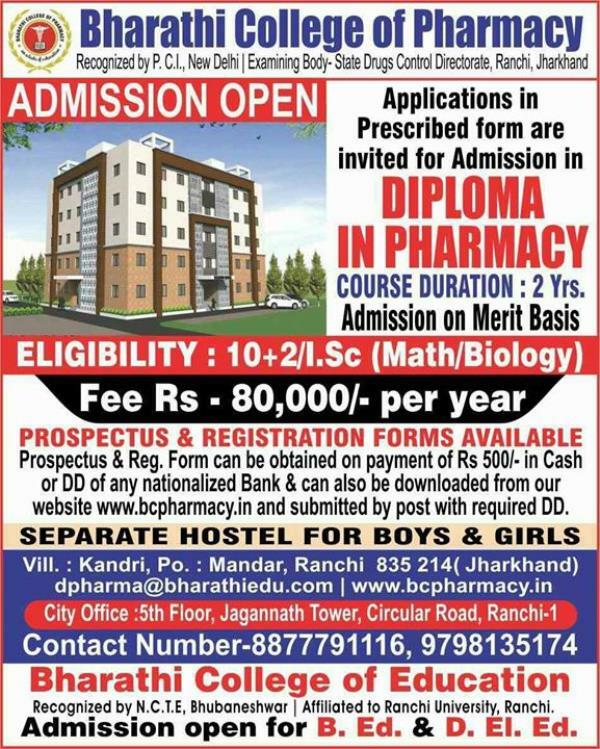 in Bharathi College of Education and also admission for D. Pharma in Bharathi College of Pharmacy, Kandri, Mandar, Ranchi. For more information Contact-9334441116/8877791116/8676961116. 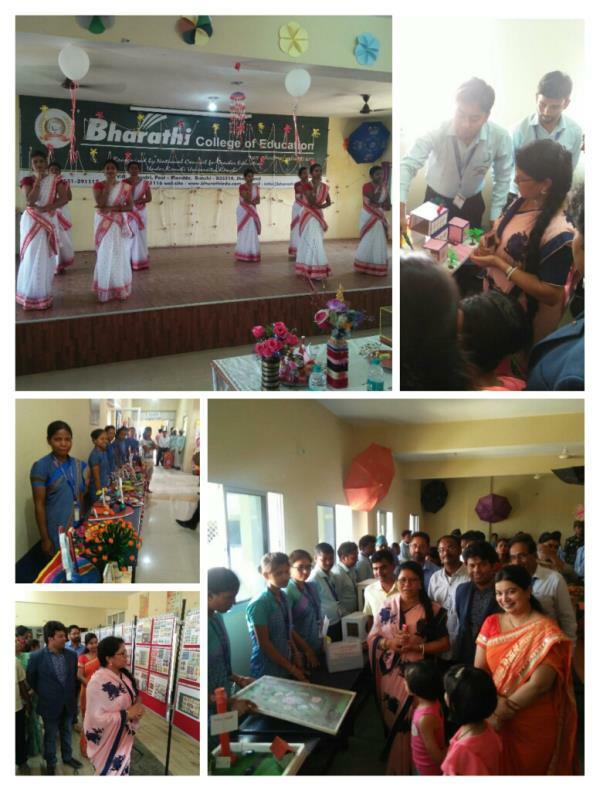 Science exhibition, Stamp exhibition, Art & Craft Exhibition have been organised at BHARATHI COLLEGE OF EDUCATION Ranchi(Bharathi B. Ed. College). 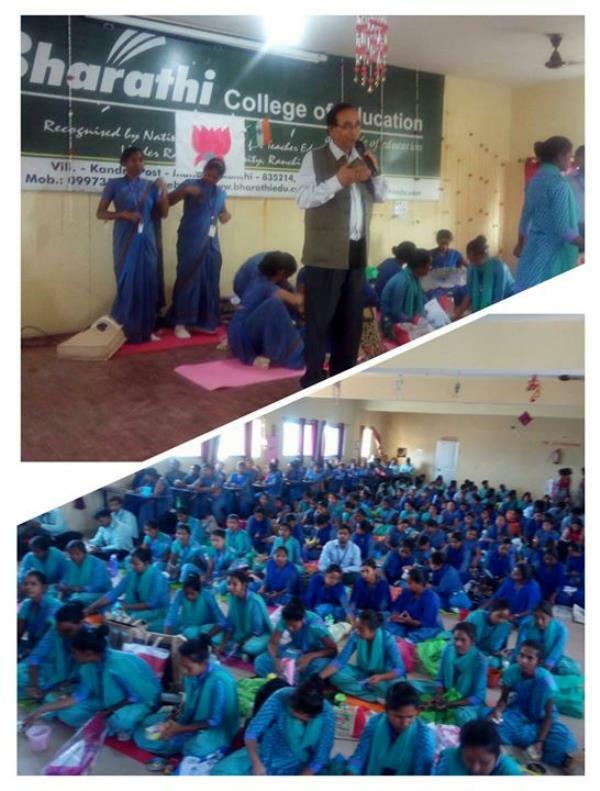 (Bharathi Group of Institutions) 6 Days Art and Craft Workshop is running in BHARATHI COLLEGE OF EDUCATION/BHARATHI COLLEGE OF PHARMACY/BHARATHI COLLEGE OF NURSING. Now Admission open in Bharathi College of Education for B.Ed. and D.El.Ed. and in Bharathi College of Pharmacy for D.Pharma, in Bharathi College of Nursing for G.N.M. and in Satish Kumar Sinha Memorial College of Nursing for B.Sc. Nursing. for more information:-9334441116/9973141116/8877791116.